3-night midweek special packages now available. Rob Krause invites you to Wildwood Guesthouse, a luxury Mudgee Bed And Breakfast getaway where friends, family and lovers meet to experience the heart and soul of Mudgee (NSW). Wildwood Guesthouse is Mudgee accommodation Nestled on 150 acres of undulating grasses and rambling woodlands Wildwood Guesthouse is an expansive four-bedroom homestead with contemporary Australian style. The Luxury Mudgee B&B accommodation is beautifully appointed, Wildwood is an accommodation destination for those seeking privacy and indulgence in an idyllic bush setting. From the moment you enter the tree-lined driveway you can sense the peace and that you are getting away from it all. 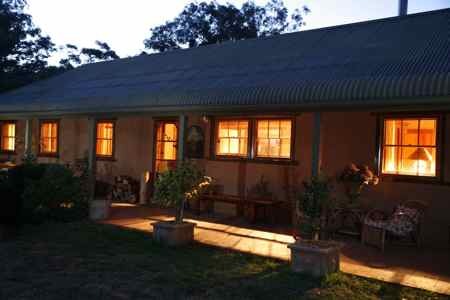 Wildwood Guesthouse is in the heart of Mudgee's wine growing district and only minutes from the centre of town. The four master bedrooms have private ensuites. Rooms are appointed with beautiful timber furnishings, fine cotton bed linen and individual french doors that open onto the verandah and Wildwood's bushscape. Each morning before your freshly prepared breakfast you might enjoy walking in Wildwood's grounds - we have 150 acres for you to wander - let our Labrador Henry show you around. Ideal for couples, groups of friends or family and with a large 8-seater dining room, spacious comfortable lounge and sunroom with a grand timbered umbrella ceiling, a fully equipped kitchen you can transform Wildwood into your own country retreat. There are those who visit for the wine and to experience the town of Mudgee with family and friends, or perhaps just to get away from it all. Whatever the reason Wildwood is the perfect escape to relax and indulge. You can stay for just one night but be warned, many never want to leave. Wildwood Guesthouse does not disappoint. 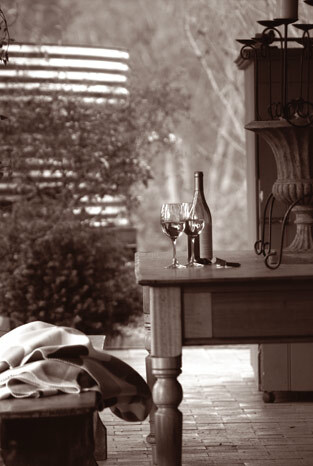 Historically speaking, Wildwood has been synonymous with gracious country living for generations. 'Eurunderee' is the original name for the valley just outside Mudgee where Wildwood now sits. The ghost of Henry Lawson is everywhere at Eurunderee, and the Wildwood property is the valley he wrote about as Sapling Gully. For the bush bard, Sapling Gully was synonymous with the hardships of gold mining.